You can access the water level table by pressing the dam button at the top left of the display. 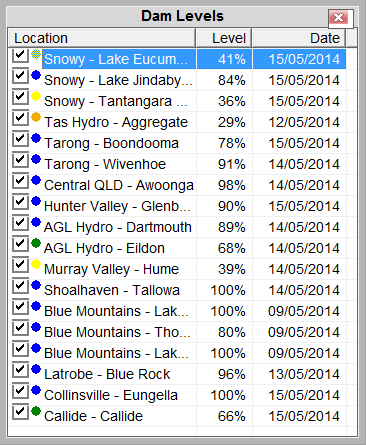 The water level table shows water levels from a selection of dams across the NEM. By ticking the check-box next to a dam you can toggle it from displaying on the map.